Some of our interior design specialists recently went to the Milan furniture fair and returned to Zurich with some interesting interior design concepts in their pockets. Thus, our team wanted to write about the impact fashion design has on furniture. However, did you know that many more fashion designers have increased their area of focus and entered the Interior Design market? Some of the brands who did that include; Louis Vuitton, Balenciaga, Valentino, Armani, Loewe, Dolce & Gabbana, Jean Paul Gautier etc. We are sure you weren’t aware that all the above-mentioned designers have shifted into the furnishing sector, but yes, they did! If you think about it, it makes sense that an established fashion designer would decide to get involved in home décor. Brands like Armani, Dolce & Gabbana have access to their very own designers and designs, know where fashion trends are headed plus have an established supply chain to get all the required material. The benefit of designing their own furniture in our opinion is to be able to make an homage to their very individual, most famous styles (be it a classic fabric, a unique design) and therefore, revamp the classy version aligning with something new, modern and never seen before. 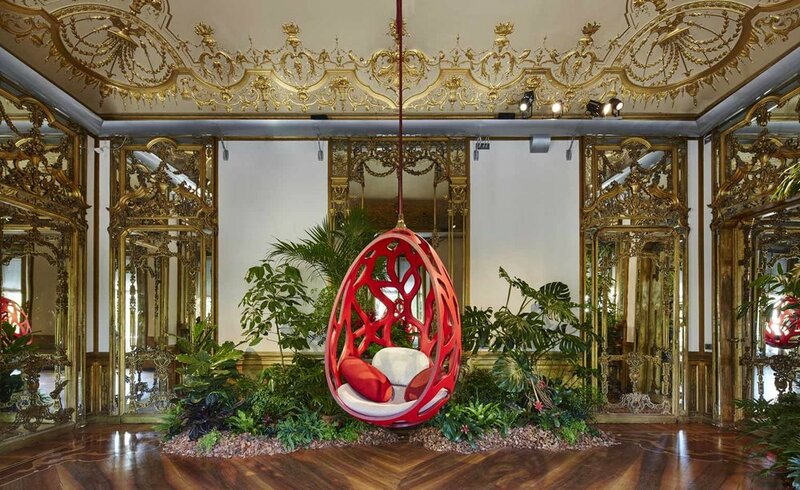 Every year, in the Salone del Mobile in Milan - one of the most prominent furniture fairs in the world - the latest gear and interior designs are shown to the public. This is the time when a lot of interesting new pieces emerge to the public with unique styles and fabrics. During this event, collections with limited pieces are presented to the visitors of the exhibition. It was on this occasion where I personally stumbled upon the “Objets Nomades” Collection by Louis Vuitton that is travel inspired, thus fitting into LVs style perfectly. The very round, flowy pieces give this traditional company a new and interesting edge. Like Louis Vuitton, Dolce & Gabbana have incorporated their unique designs that we find in their runway in their décor, but these are seasonal for now. 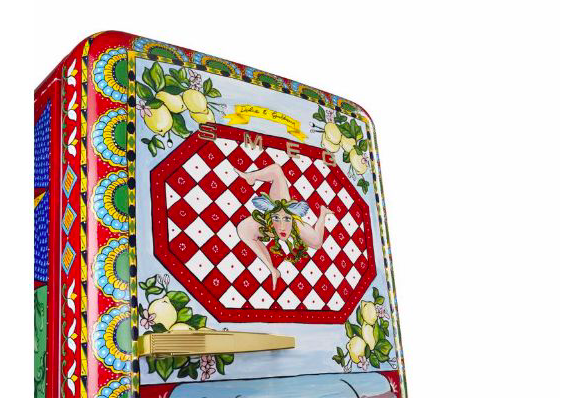 D&G has entered a collaboration about two years ago with Smeg, to bring to the market their very limited kitchen appliances. Just look at the graphics they use! D&G loves to engage in a very high-class, pompous, showy style…. But it absolutely suits the brand and its’ image! Another brand that has ventured into home décor furnishings is Balenciaga. Cristobál Balenciaga has always been famous for his very clean designs and now looking at their chair collection “Laclasica”, we can see the Balenciaga touch right there! Round and flowy, made from one material without any disruptions the chair lets one drift into its’ curves. It is a fashionable piece made for furniture lovers who love a minimal design. For fashion enthusiasts who are very brand loyal and want to show their high-end lifestyle, having furnishings from a fashion/interior designer can express the absolute devotion of these customers to their favorite designer. It is obvious that all designers have a different story behind their fashion lines. This is exactly what makes it interesting to observe more and more of these stylists enter home décor and see what they are launching. It gives a better feel to us and an insight of the brands history. As for now, only some high-fashion brands have ventured into interior design. Some of them are most likely testing the grounds by collaborating with companies to get a feel of what the home décor market offers them. We are sure we will see many more fashion companies joining the furniture sector in the near future – and personally speaking – I cannot wait to see their designs!